Narcolepsy is the inability of the brain to properly control the sleep-wake cycle. It is a neurological disorder. Narcolepsy causes the body to enter the REM state of the sleep cycle, skipping the other parts of the cycle, as well as during the waking hours. It is often linked to paralysis and hallucinations because during the REM state, our muscles are paralyzed and we dream. Narcolepsy is also associated with insomnia, sleep paralysis and sudden sleep attacks lasting from a few seconds to a few minutes. People affected by narcolepsy are often considered to always feel sleepy; however, they generally don’t sleep any longer than the average person, though they cannot control the timing of their sleep. Because of this, narcolepsy can affect daily activities. People may fall asleep while doing any activity- while eating, working, reading, or even while driving. They may also experience cataplexy- a sudden loss of control over the voluntary muscles while awake, which makes them go limp or be unable to move. This may affect a muscle group or the whole body. It may be a sense of sudden weakness in a limb, or the inability to speak. The feeling of a strong emotion, most frequently, laughter, sometimes triggers the attack. In about 10% of all cases of narcolepsy, cataplexy is the first observable symptom, and is occasionally misdiagnosed as a seizure disorder. During these attacks, the person is typically fully conscious, which is how the attack differs from a seizure. Narcolepsy affects men and women and often starts during childhood. It is a life-long illness affecting approximately one in 2000 people. It is an under recognized condition and often is undiagnosed. While some rare cases of narcolepsy may be caused by a genetic defect, where the production of hypocretin neurotransmitters (which promote wakefulness) is not produced correctly, it is generally not considered a genetic condition. It does, however, appear in clusters within families in up to 10% of cases. Most people who do have narcolepsy produce low levels of the hypocretin neurotransmitter, causing a disturbance in the sleep-wake cycle. When cataplexy is also involved, the cause is most frequently due to a loss of brain cells that produce hypocretin. This is thought to be caused by an autoimmune disorder where the immune system attacks the hypocretin containing cells. Some other causes may be due to traumatic brain injury to the part of the brain involved in REM sleep, brain tumors or other diseases affecting this area. Exposure to toxins, stress, hormonal changes and infections may also be causes. 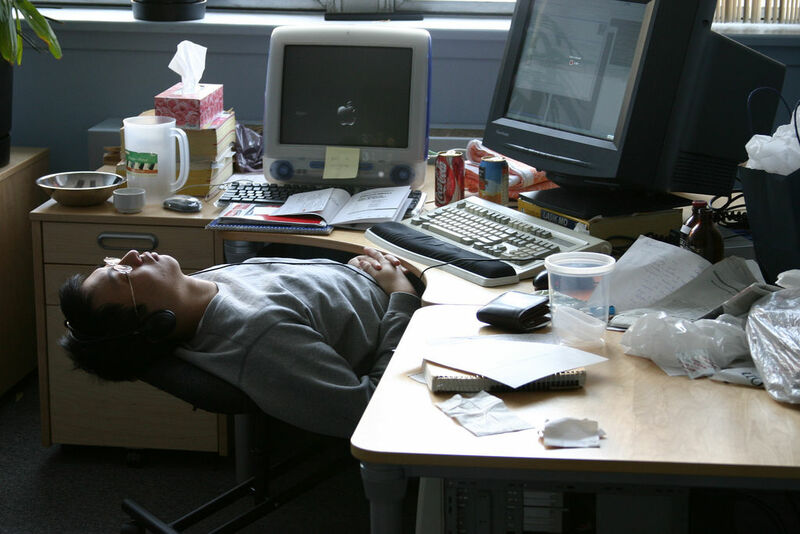 One of the main symptoms is Excessive Daytime Sleepiness, or EDS. This affects about 70% of people with narcolepsy. It is characterized with an overwhelming feeling of tiredness and fatigue throughout the waking hours. Physicians will give a complete medical history and physical exam, including an overnight sleep study (Polysomnogram) and Multiple Sleep Latency Test (MSLT). These tests will also help to determine if other sleep disorders such as apnea are involved. The patient may be asked to keep a sleep journal for several weeks, and complete the Epworth Sleepiness Scale- a written test evaluating the severity of their symptoms on a daily basis. It may take years to diagnose narcolepsy, as many other conditions involve high levels of fatigue. If you have been diagnosed with narcolepsy, your doctor may prescribe stimulants to improve your alertness during the day, as well as sodium oxybate, a sedative, to help improve nighttime sleep. Antidepressants may be used to treat cataplexy, hallucinations and sleep paralysis. These medications are intended to help alertness during the daytime and uninterrupted sleep at night. Your doctor may also suggest lifestyle changes such as scheduled naps, avoiding heavy meals and alcohol, and counseling to help cope with depression and fear of falling asleep at inappropriate or potentially dangerous times. At this time there is no cure for narcolepsy, but with the use of these medications and lifestyle changes, many of the symptoms can be managed. Purchase your Spoonies for Life pillowcases HERE!